The second installment of Chaminade Resort’s annual Farm to Table Dinner summer series is Friday, July 8, and there are still some tickets available for this event with local libations from Summit to Sea Wineries and fresh ingredients from Fiesta Farm. In case you missed it, here is my preview article which describes the series in more detail. You can also visit the Chaminade web site for more information. 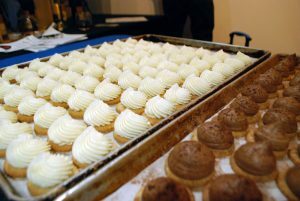 The cost is $110 inclusive per person and this includes hors d’oeuvres (served at the 6 p.m. reception with wine), a multi-course family style dinner with wine pairings (6:30 p.m.), and dessert. Call (831) 475-5600 for reservations. For this Friday’s dinner, Executive Chef Nicholas Church is utilizing produce from Fiesta Farm; see menu below. 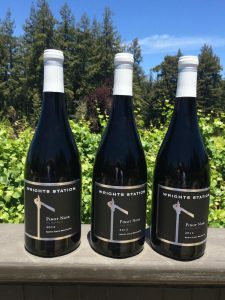 Three wineries from the Summit to Sea wine group will be featured: Burrell School Vineyards, Loma Prieta Winery and Wrights Station. July 8, 2016 at 6 p.m. 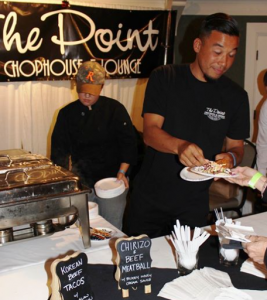 There are many food and wine events occurring this weekend in Santa Cruz and Monterey. Below are details for three programs on Saturday and/or Sunday, June 7-8, 2014. At the Strawberry Festival June 7, which benefits the Walnut Avenue Women’s Center, you can win dinner for 2 at 12 Santa Cruz restaurants. That’s the grand prize of the event’s raffle which has 100 prizes. It’s an annual festival for WAWC (Walnut Avenue Women’s Center), which has worked to improve the quality of life for women, children, and families for more than 75 years. Read more at the WAWC web site at wawc.org. The festival raises funds for youth development services including mentoring, teen pregnancy prevention, teen dating violence awareness, educational workshops, and support groups. Strawberry Festival 2014 will be held at 303 Walnut Avenue in Santa Cruz from 11 a.m.–4 p.m. Admission is free, and there will be food available for purchase including BBQ, strawberry shortcake, chocolate-dipped strawberries, and strawberry lemonade. There will also be carnival games, a bounce house, and live music. Terranova Fine Wines welcomes wine and horse racing fans to watch the Belmont Stakes at its Cannery Row store from 2 to 5 p.m. Saturday, June 7. The post time for the Belmont Stakes is 3:52 p.m., and Terranova invites guests to help cheer on California Chrome. 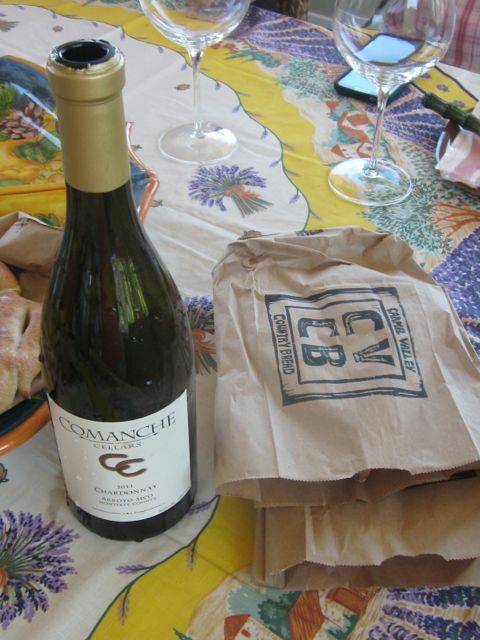 There will be Comanche Cellars wine tasting, olive oil and balsamic tasting with The Quail & Olive, and bread samples from Carmel Valley Country Bread. The tasting fee will be $10 per person and includes a sample of each wine, along with cheese and bread pairings. A la carte glasses of wine will be $10 each. Samples of olive oils and balsamics are complimentary. Bread, bottles of wine, olive oils, and balsamics will be available for purchase. There will also be a drawing for a signed magnum of Comanche Cellars wine (must be present to win). Loma Prieta Winery is having a Pinotage Club Pick-Up Party all weekend, noon to 5 p.m. each day. There will be live guitar music, appetizers, and oysters from local favorite Bill The Oyster Man. Oysters will be $1 each; please bring cash. Painter Jude Bischoff will be exhibiting his nature portraits at the winery on Sun. June 8.